Like a bronze statue, these lovely callas make a strong statement about great taste. Perfect for home or office. 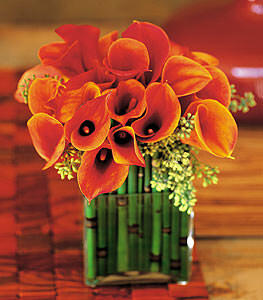 Miniature bronze callas, with equisetum stalks styled in the vase, arrive in a square glass vase. Note: This item may require 24 hours notice in some areas.